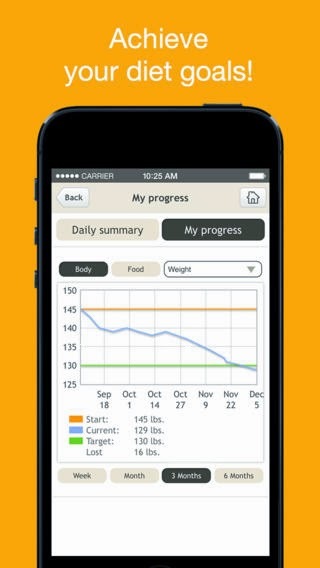 Developer Quote: "Fooducate is the ONLY APP that looks beyond the calorie and helps you eat healthy and tasty. Scan a product barcode to see what’s really in your food." January through at least March, New Year's Resolutions go hand in hand. I'll bet there are hundreds of varying resolutions that are promised to self, but I think health and fitness are always at the top of the list. At least, it always is for me! "I'm not going to eat so many desserts, I'm going to raise the bar at the gym with cardio or weight training", and so forth. Oh yes...it's the same every year! How can you do poorly on your new pledge to your diet and fitness regime when Fooducate has answers for you with just a tap or two? Launch the app and after registering so that Fooducate can keep track of your future progress, select from options such as Scan, Track My Health and Browse. Scan, of course, lets you scan the barcode of a grocery product to read all about the label. 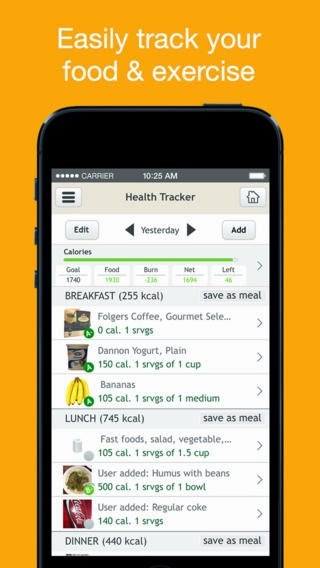 Track My Health provides a wealth of information on yourself as you start using the app, and Browse gives you all the nutritional information you need on many categories including Fruits & Vegetables, Breads & Carbs, Breakfast, Dairy & Eggs, Meat & Fish and so on. Within each category are sub categories, and then the name brands are listed with information such as how Fooducate graded that item, how many calories per serving, the percentage of those who liked the item, user comments and a total nutritional breakdown. There's so much more to Fooducate that will help you stay on track with healthy eating and shopping at the grocery store. It's a complete package of health information that is loaded with details and user interaction.